Tim Mukherjee, as President of the firm, possesses a wide ranging accounting and income tax background. 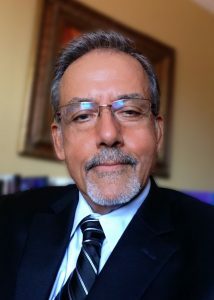 In his tenure of 24 years with the Internal Revenue Service (IRS) in Los Angeles, he worked as a Revenue Agent auditing income tax returns of individuals, partnerships, corporations, and S-Corporations. He was detailed to the National Office during 2000 – 2001 assisting the Business Systems Modernization group in Washington D.C. Upon returning to L.A., he was promoted to the position of group manager of Small Business and Self-Employed Division of the IRS. He also served as a manager of the Technical Services Division overseeing the operations of the administrative efforts of the Service’s L.A. headquarters. He went to Dallas, Texas as the Training Group manager, working for the Large Business and International Division (LB&I). He served in that position both in Dallas and in Los Angeles for six years overseeing the hiring, training, and development of the newly recruited employees in LB&I of the Internal Revenue Service. Prior to working for the IRS, Tim spent 14 years working for two large, publicly-held companies. He started his career in accounting with Mostek Corporation, a semiconductor manufacturing company which he joined after graduating from The University of Texas at Dallas. He spent nearly 10 years with Allied Signal Company (presently Honeywell Corp.) in Los Angeles in various positions, including Manager of Cost Accounting, Plant Controller, and Financial Analyst. While a student at the University of Southern California, Tim completed his Master’s Degrees in Business Administration and Business Taxation. Tim Mukherjee is a Certified Public Accountant in the states of California and Texas. He is also a Certified Management Accountant.